Sometimes I forget that I’m only eighteen. I do some pretty overzealous things for an eighteen-year-old. 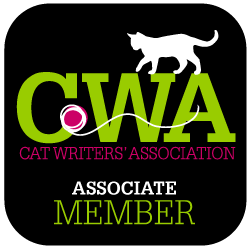 I started my own personal blog, wrote two articles for a newspaper in Cape May, NJ, attended BlogPaws by myself, started a blog for the Fairfax Patch online newspaper, and travelled to New York alone to attend the CWA conference. But that’s not what I’m here to tell you about. Today’s post I am here to share an intriguing man’s story. 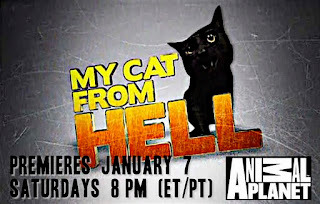 This man is the humble Jackson Galaxy of Animal Planet’s My Cat From Hell. I never dreamed that I would be waiting at the kitchen table, laptop ready to go and cup of water nearby, to interview a Hollywood television star. As soon as the phone rang, I was eager to answer and begin the interview. Of course, the moment I answered, the phone died. About ten minutes later…I was on the phone with Jackson Galaxy. Rachel: What’s the best piece of advice you have ever gotten about your job? He paused here to chuckle and tells me that this was an interesting question. Jackson continues to tell me that thinking we know cats, is a trap we can fall into. “To think that we know them all and that all cats will do this when this happens, that falls under the categories that you don’t know cats. They will surprise you, humble you and shock you,” Jackson said. This part of our conversation struck me. It really is true, we assume all cats will act a certain way in a situation and they might do a complete 180 degree opposite. Rachel: You worked at the Humane Society of Bolder Valley, Colorado for years before starting your business. 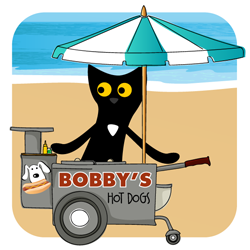 What kind of behavior did you see in the shelter animals that motivated you to start your own business? Jackson: “[With] a cat in the shelter environment, you’re stripping them of everything that makes them a cat. Territory - they mark a little chunk of the world and that’s gone the next morning. There is no environmental enrichment in cages. You are trying to keep them from going crazy. And get them adopted. Sully went from cowering in his litter box, to out on his new cat perch. Image from Valerie Allen. I completely agree with Jackson on this point. Being a volunteer for a rescue, if a cat is cowering in their litter box at the back of the cage, they’re completely less likely to get adopted than a cute kitten playing with a toy. I mentioned this to Jackson and he said that it was exactly his point. “My work in the trenches was very much about the necessity being the mother of the invention. That informs the work I do today. I bristle at the thought of getting a cat to pee in the toilet; I want to keep to their nature,” he said. Rachel: On your show, you seem to deal with people’s interactions with cats, and retrain the people more than the cats. Have you ever dealt with situations where the people weren’t the problem but it was cat versus cat? My point in asking this question was to help me better understand the issue my cats Brooke and Sabrina have getting along. “Cats don’t necessarily own the same communications skills. Dogs for the most part have the very set part of their nature are to have the playtime and bear teeth. But cats because they have such a small window of socialization by the time they’re 9 weeks old they have learned all their cues. It’s basically teaching two beings from another county to teach each other their language and do it peacefully. Rachel: What is your typical work day? How do you prepare for filming? Jackson: “There is not a lot of preparing I do. I don’t like to go in with a set game plan. I go in with a general knowledge of the people and personalities of the cat I’m dealing with. I like thinking on my feet [because] I get to think of new techniques and keep it really fresh and not do something out of habit. Once I’m on set or in the house I couldn’t even tell you what happens for the next 10-11 hours. I am just moving. I try not to get too buried in the process, but also get cats to come out and demonstrate something in the presence in front of people, which is not easy! It is less preparation and more thinking on your feet. When Jackson is not filming he does one to two private consults a day – one in person and one by Skype. Rachel: That’s right! 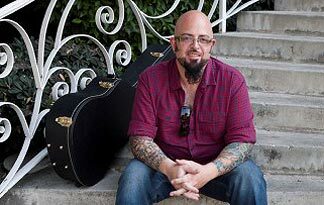 You have a book coming out May 10, Cat Daddy: My Life with the Original cat from Hell (pre-order on Amazon here). What was the motivating factor to write this book? Jackson: “Basically the cat in the book, Benny was dying and our time together was ending. I was just struck by how his presence in my life guided my knowledge about cats and the work I do with them and the techniques I have worked on and the theories that I have used. Rachel: Besides cats, your other hobby is music. Tell me about that. Jackson: “Well I have been a songwriter, singer guitar player since I was ten or eleven and it is funny because until animals became a dominant form in my life, it was the only thing I was really good at. You either get me talking about music or animals for pretty much six or seven hours straight, I won’t stop. As time has gone on, because of my love of art and animals it has expanded my ability as more of a spiritual being and experience life in a much deeper way. I told Jackson that I completely agree, writing is my passion and it truly is the best way for me to express myself. Our interview nearing the close, I asked one of my last questions about the Spirit Essences that Jackson promotes using. We personally use Bully Remedy, Obsession and Peace Maker. Rachel: You are the owner and president of Spirit Essences; can you explain how they work? Jackson: “No!” he told me. We both chuckled for a few minutes before he finished his answer. “Flower essences are a 100 year old modality. Basically the woo-wooey version is from the box rescue remedy and remedies like that. There are 38 different types of flowers that have an energetic figure. It’s a gentle modality. [It’s the] opposite of western meds which are the remedial of a sledge-hammer. Voila! The end! Jackson and I talked for a few minutes before saying good bye. His answers had blown me away. Jackson is so down to Earth and easy to talk to. I could tell how passionate he is about his work with cats. If this interview isn’t indicative of Jackson’s amazing talents, tune into My Cat From Hell on Animal Planet at 8 pm EST January 7, 2012! 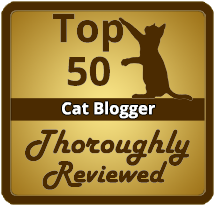 Visit Jackson Galaxy Cat Behaviorist Facebook Page here. You are my hero Rachel!!! Great interview and I continue to be so proud of you!! What a great path to a wonderful life of writing, helping cats,and endless possibilities!! You handled the interview like a pro and I really enjoyed your style!! What a great interview! Congrats! Like Deb said, you are such a pro. I wish I'd had half your confidence at age 18. Nice job! Fantastic interview, Rachel! You're handling this like you've been doing it all your life! Rachel, you're a natural! I really enjoyed reading this and seeing your style develop as a journalist. I'm sharing this on FB. Rachel! Your interview is fab! I like how your experience with fostering and rescue, and how you discussed 'caged cat' behavior with him...made this the most interesting interview yet! And your first! Awesome Pawsome! Awesome Job girl VERY PROUD OF YOU!!!!! Wonderful interview! Jackson's comment about cat behavior while in a cat shelter environment and your following comment about any cat in a shelter who cowers in a litter box should be posted at the entrance of every animal shelter everywhere to be read by every potential cat mommy or daddy. Rachel, what a fabulous interview! Only 18 years old - but how old is that in cat years?